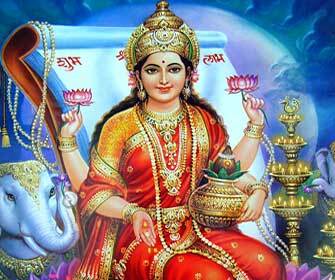 Lakshmi is the auspicious goddess of wealth and fortune, whether it is material or spiritual. 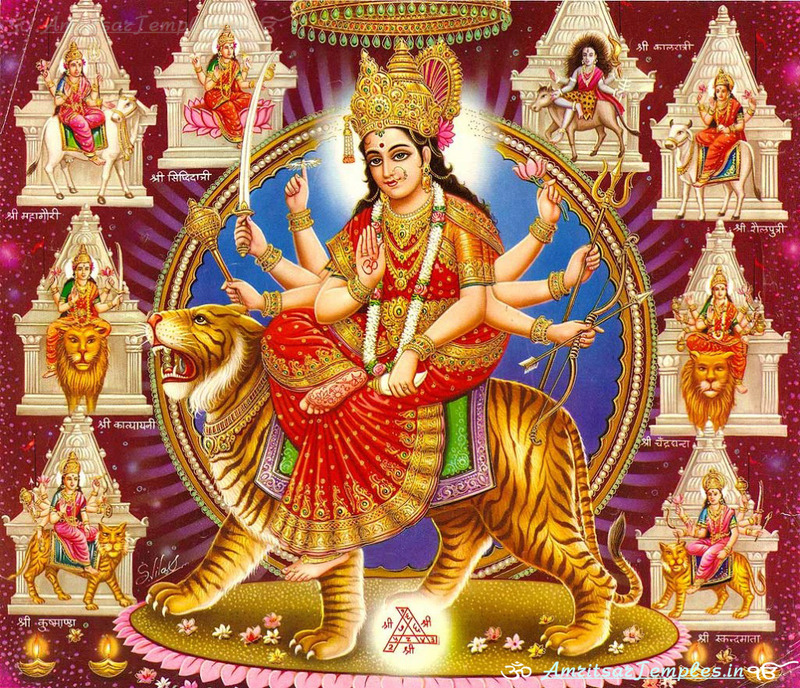 The word ”Lakshmi” has been derived from the Sanskrit word Lakshay, meaning “aim” or ”goal”. Goddess Lakshmi suggests the aim of life, which includes all worldly and spiritual success. Lakshmi is the divine consort of Lord Vishnu and provides him with wealth for the maintenance and preservation of the creation. 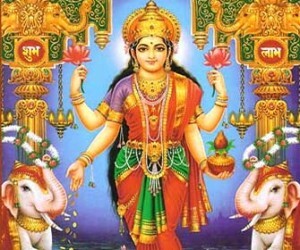 Sometimes, Maha Lakshmi is also known as ”Laxmi”. 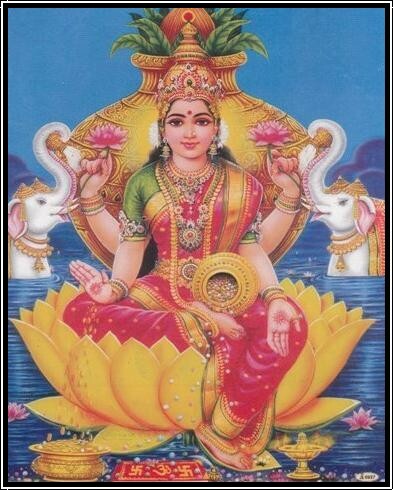 Lakshmi is the goddess of wealth, luxury, fertility, fortune, purity, beauty, power, generosity and auspiciousness. 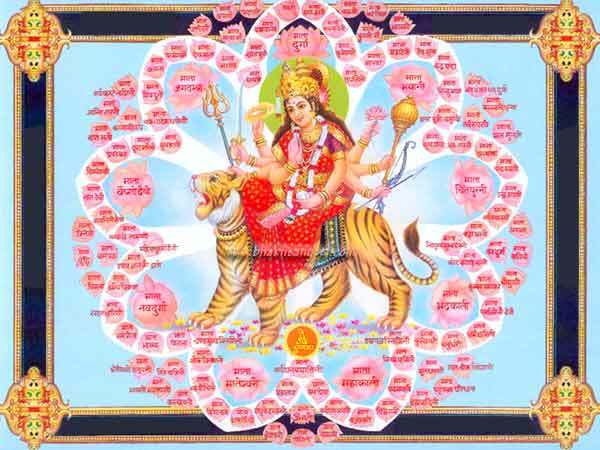 She is claimed to fulfill the promises of material, wealth and contentment. According to the Hindu mythology, the sacred name of Lakshmi is ”Shri”. Whether in written or verbal form, ”Shri” always suggests presence of goddess Lakshmi in it. ”Shri” is written at the top of most of the documents. It is usually spoken before addressing a god, or any revered individual. 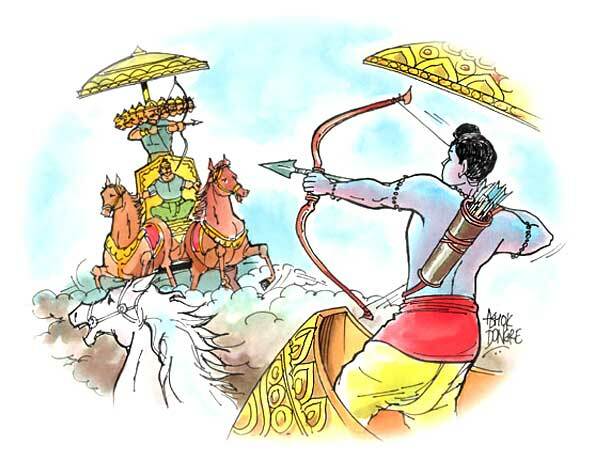 The usage of ”Shri” itself evokes grace, affluence, abundance, authority and auspiciousness. The word ”Shri” is spoken or written, an aura of holiness is established. Sri is associated with the material side of life, just like the word ”Om” is associated with the spiritual side of life. Generally, Lakshmi is portrayed as a beautiful lady with golden complexion, dressed in red color attire and adorned with precious jewels. 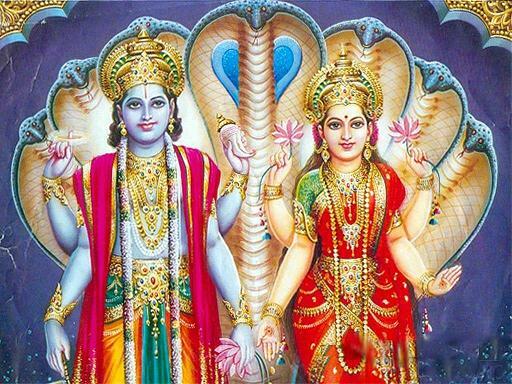 Lakshmi has four hands representing the four ends of human life, Kama (desires), Artha (wealth), and Moksha (liberation) from the cycle of birth and death. She holds lotus bud in two of her hands, which stands for beauty, purity, spirituality and fertility. She sits on a fully blossomed lotus, a seat of divine truth. Cascades of gold coins are seen flowing from her hands, illustrating that she blesses people with wealth. The constant effort of two elephants is often shown standing next to the goddess and spraying water. It denotes that, in accordance with one’s dharma when governed by wisdom and purity, leads to both material and spiritual prosperity. The personal charm of Lakshmi is considered par excellence. An aura of divine happiness, mental and spiritual satisfaction, and prosperity always exists around her. It is believed that Lakshmi resides in a place where virtue, righteous- ness, truth and compassion prevail. 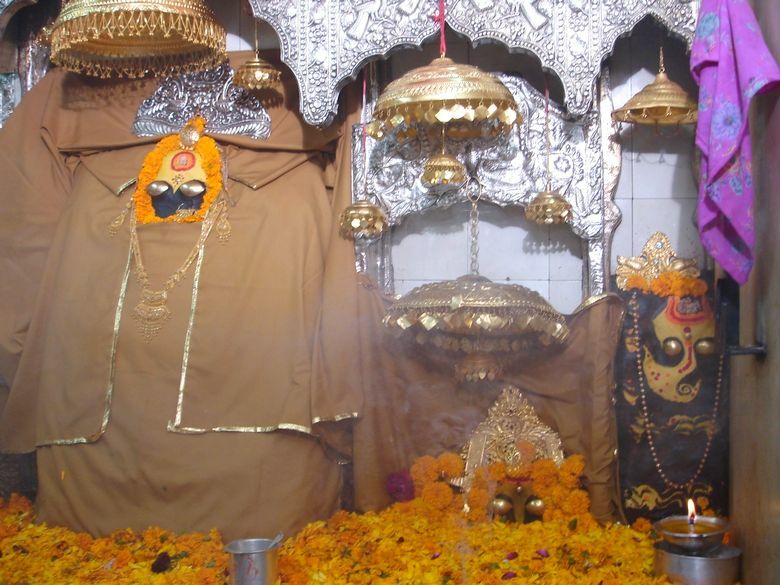 Goddess Lakshmi is considered to stay at a clean place. Wealth is required to meet the basic needs of life. 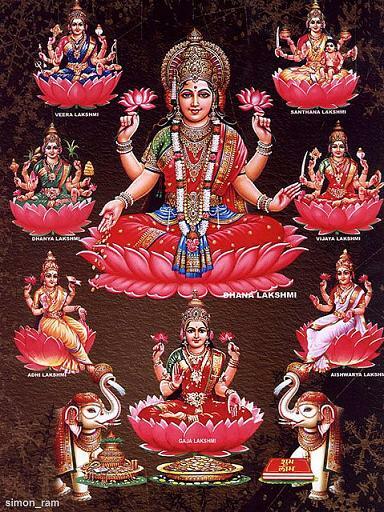 People worship Lakshmi for the well being and prosperity of the family. On the auspicious night of Diwali, Hindus worship Lakshmi ceremonially at home, pray for her blessings. It is believed that on this night the goddess herself visits the homes and replenishes the inhabitants with wealth.